If I am married, does my spouse have to file bankruptcy too? No, not necessarily. If you are in financial difficulty, but your spouse is not, the bankruptcy code does not require your spouse to file with you simply because you are married. Many times only one spouse brings a debt load to the marriage, or none of the credit cards held by the couple are in joint names. Remember, just because spouses have a particular card with both their names on it, that doesn’t make it joint. What matters is whose name is on the bill when it comes in the mail. In other cases, one spouse’s credit card debt is manageable while the other’s is not. This is an issue I address with all of my clients, and I do try to save the credit score of one spouse if that is possible by not putting a bankruptcy filing on both credit histories. 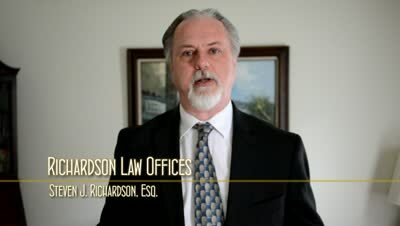 When Should a Married Couple File Jointly? Your situation may be different, so it is best to consult with a lawyer to get the right answer for you. If you live in southern New Jersey and are thinking about bankruptcy, please feel free to call me at 856-432-4113 or contact me through this site schedule an appointment in my Woodbury office to discuss your options, including whether to file jointly. Just bear in mind that it is not an automatic requirement. If you are just looking for more information about bankruptcy, then download my free book,Top Questions People Ask About Filing Bankruptcy in New Jersey.